Day 56: Makin' It Happen Again! The campsite next to the train tracks wasn’t too bad last night. I remember waking up a couple times from a screeching train, but I was too tired for it to really affect me. It also rained on and off. Loving my ZPacks Soloplex tent. I don’t even worry when it rains. I’ve found that the slight splashing on the mesh occurs when I’m at a campsite on a hard ground and it’s pouring. Since I was in the grass last night, I had no splashing at all. In fact, it was so muggy that I left the vestibule open and the tent was angled as such that I didn’t even need to close the front doors to protect the mesh. Not even when it thunderstormed at 4:30am. Since there was no breeze to blow the rain, it just fell straight down and I didn’t need the vestibule doors. Perfect! I was hiking by 6:45am. 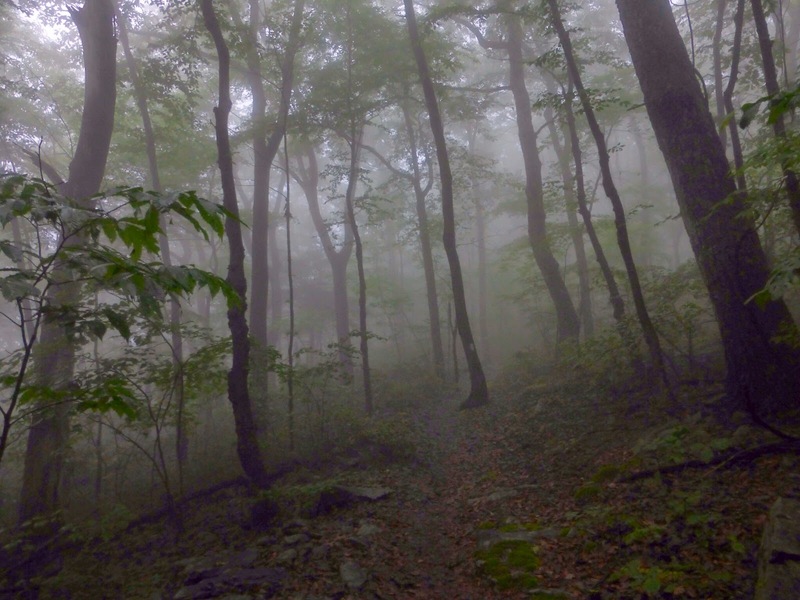 The first half of the day was hiking through the remainder of the Cumberland Valley. 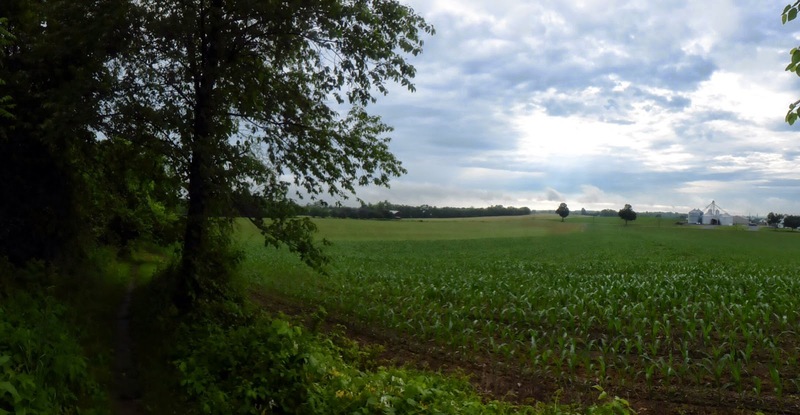 The trail was very flat as it alternated going in and out of small wooded areas and through farmland. Storm clouds hovered all day and I was happy to have the sun blocked for the day. 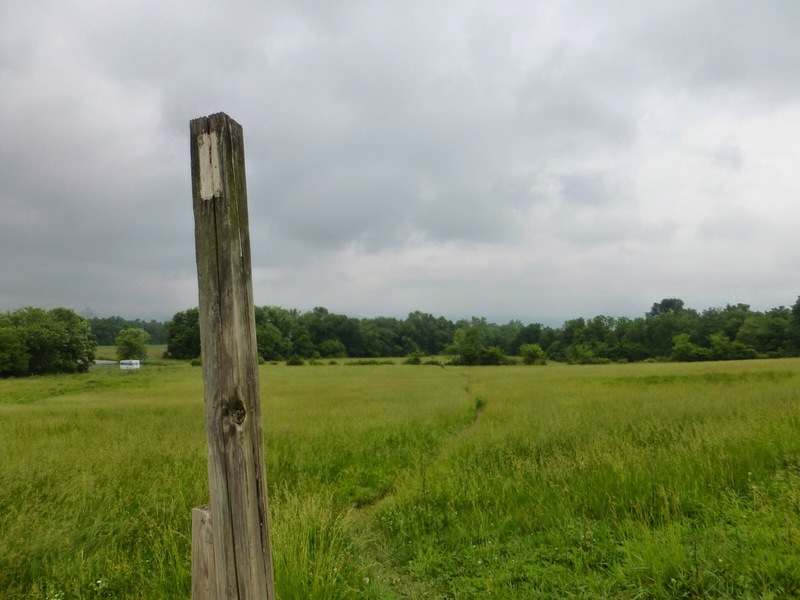 I can imagine that in the sun and humidity, it would really beat down on hikers as they crossed the farmland. Once past the farms, the trail stayed in the forest, but it was unique from what we’ve been in lately and it was even more pronounced given the darker skies. It was a darker green with trees that were long, thin, and black. With the visual and the humidity, it gave more of a jungle feel and I kept thinking I was seeing those black rat snakes. I got one of my favorite photos of the hike so far crossing one of the countless bridges today. 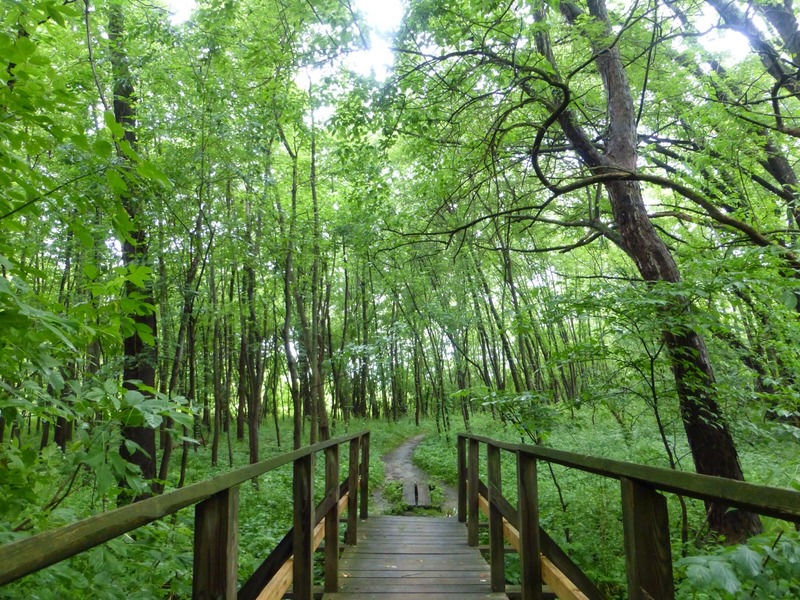 The trail was very wet and muddy. There was no avoiding it and my feet were soaked for the day. 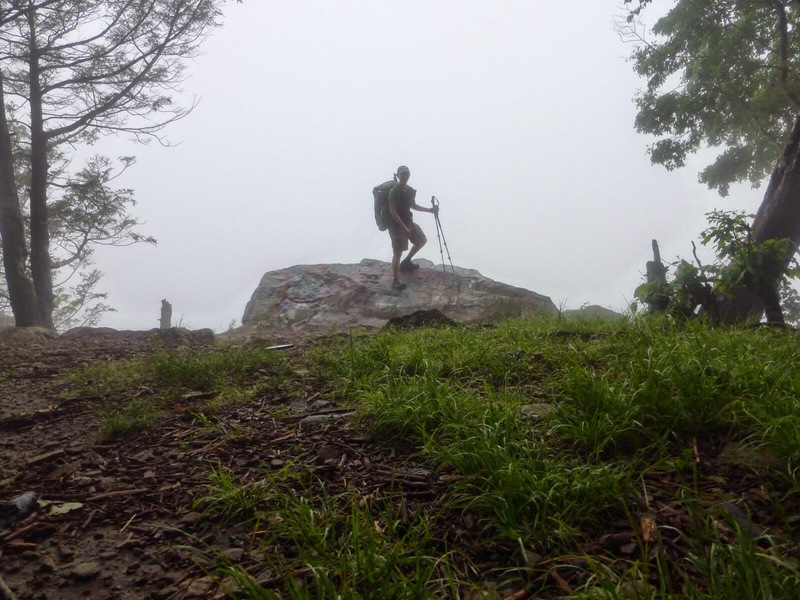 It got very foggy at the end of the day with a wall of grey at the viewpoints. 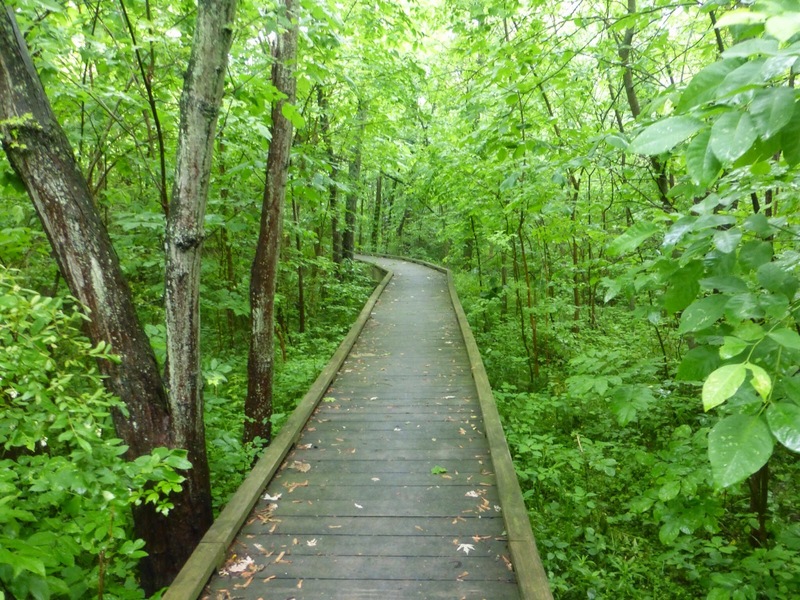 There were stretches of long, highly elevated boardwalks that were really nice too. Just a nice unique stretch. The humidity wasn’t as high, but I’m just lacking of my usual energy. I don’t think I’ve slept well the last four nights since leaving Harpers. It has been so humid that I am not sleeping much and then I wake up early. Plus, the rain each night has interrupted my sleep. My thigh muscles ache which is abnormal. I think I just need to catch up on sleep and rest a bit. This whole leg, I’ve been keeping in touch with the Kallins. Our plan at the end of this leg is to exit from each of our mutual end points and meet in Hershey, PA to go to Chocolate World together. I was arriving in Duncannon today and my original plan had me going to Hershey from here, but now I need to continue hiking north until the Kallins hit Duncannon. I have a hiking friend, Malto(also hiked the PCT in 2011), who works for Hershey and is going to host us at his house there. We have a plan set for him to shuttle us from the trail in two more days. We’ve gone back and forth on this many times to time and coordinate our end points. Then around 2pm today, we all realized that we were wet, tired, and each hitting towns around 4:30pm today. It was going to be very difficult to hike on past town today with rain imminent and all of us pretty worn out. We concocted a plan to get us all to Hershey tonight! I was able to rent a car in Duncannon and drive back to my day’s starting point of Boiling Springs to pick up the Kallins. Then we drove to Malto’s in Hershey. We made it work! Malto and his wife Beth Ann were wonderful hosts to bring all of us in and be so flexible with the back and forth. They ordered a ton of pizza and had Hershey syrup chocolate milk! Doesn’t get much better than that for me. The whole town of Hershey has a theme with Chocolate World, an amusement park, a museum, and even Hershey Kiss street lights. We got to town around 6pm and once we were settled and ate, we had time to go to Chocolate World. 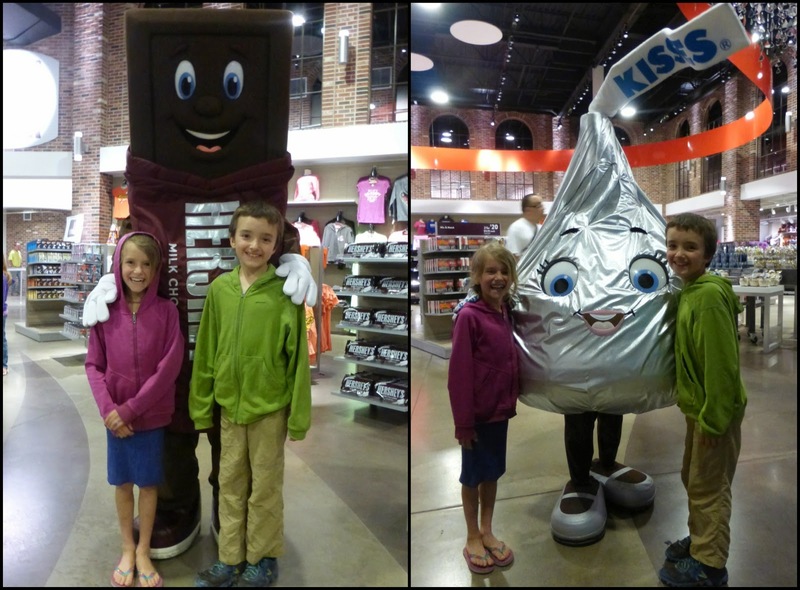 It was icing on the cake to walk up and see the Hershey characters welcoming us with a Wired pose! Good times! 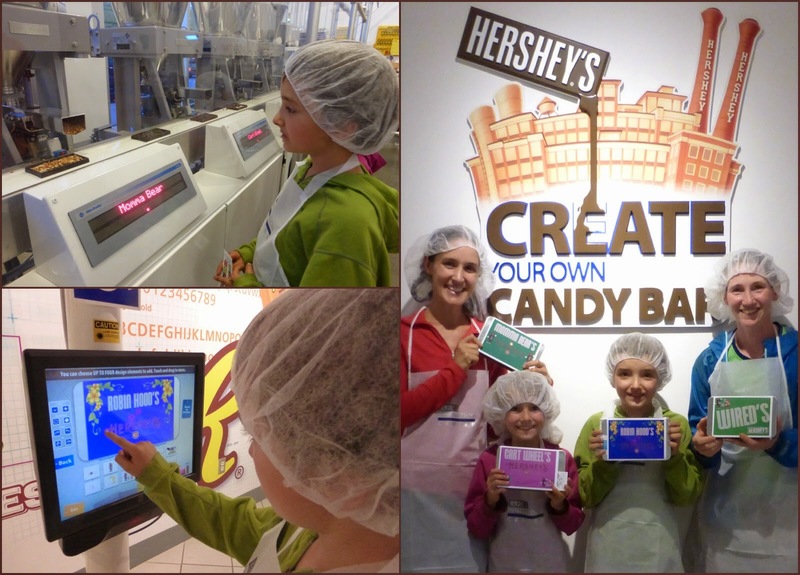 We were also excited to make our own Chocolate Bars. Making one along with Cartwheel and Robin Hood was what made it really fun. The. It goes through a factory and you can watch your bar being created. 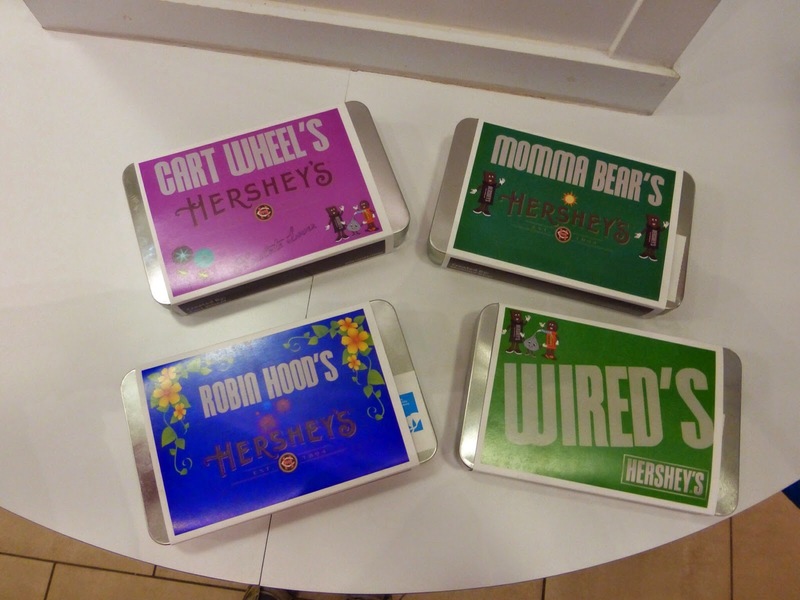 We got to pick from a few ingredients and then create our own wrapper for our metal boxes that the bars come in. There are tornado and thunderstorm watches tonight and the lightning is flashing. It’s sooo great to be in a home tonight! Whew! Thanks so much to Malto and Beth Ann for makin’ it happen! I’m really tired and my body needs a rest. 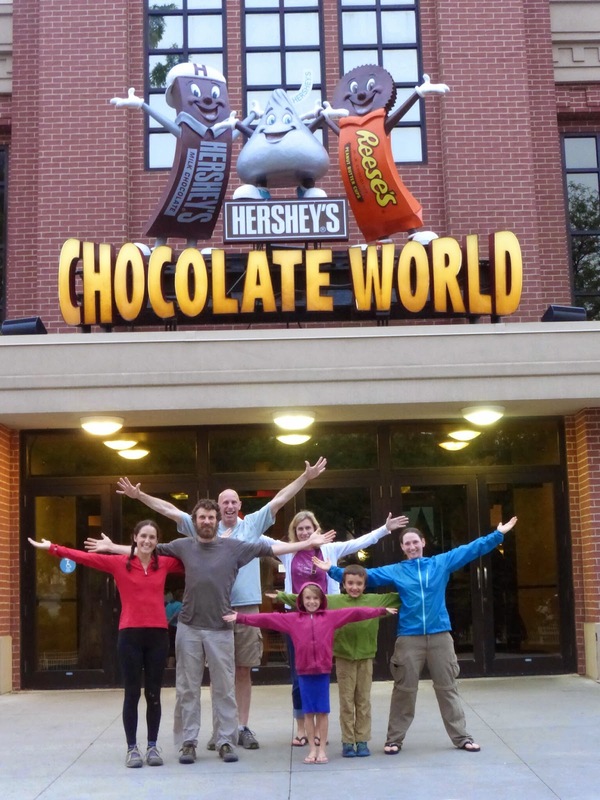 A hiking trail where you can stop at Hershey world and eat chocolate!! Only in America right!? So nice you got to experience the fun with the kids!